Heathrow Airport’s petition to Britain’s Civil Aviation Authority (CAA) for a £4 increase in its charge per passenger is creating a major stir in Britain, with Willie Walsh, chief executive of British Airway's parent, the International Airlines Group, accusing the airport operator of “lining its investors pockets” at the expense of travelers. Critics maintain that Heathrow is already the most expensive hub airport in the world. Heathrow’s Chief Executive Colin Mathews has petitioned the CAA to increase the current passenger charge of £19 to £23 per passenger over the next five years. On Oct. 3, the CAA will publish proposals for the airport charges that are levied on airlines and their customers for the period 2014 to 2019. 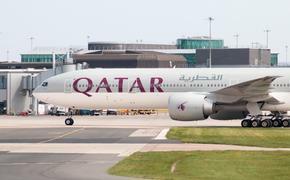 Critics, who are already engaged in a fierce battle over the U.K.’s Airline Passenger Duty, point out that the new charges are being levied even as Heathrow announced plans to cut back more than £400 million from the airport’s operating costs over the next five years. Matthews has said that if the hike doesn’t go through, he will cut spending by £10 billion over the next five years. The CAA’s initial proposal called for an increase in the passenger duty totaling £600 million over the five-year period. The Belfast Telegraph quotes Walsh as saying, “Heathrow’s management seems incapable of running their business efficiently within a routine cost control environment, which is a day-to-day reality for most companies. If they can’t introduce customer improvements in a cost-effective way, then they should step aside and let someone else run the airport.